Bacterial streak, caused by Xanthomonas campestris pv. undulosa, appears first as small water-soaked lesions that rapidly develop into long, thin, tan-brown, water-soaked lesions, confined between the leaf veins. Lesions may appear translucent when backlit, especially when leaves are wet. Unless leaves remain wet or there is high humidity, the water-soaked appearance will fade and symptomatic tissue will become necrotic. 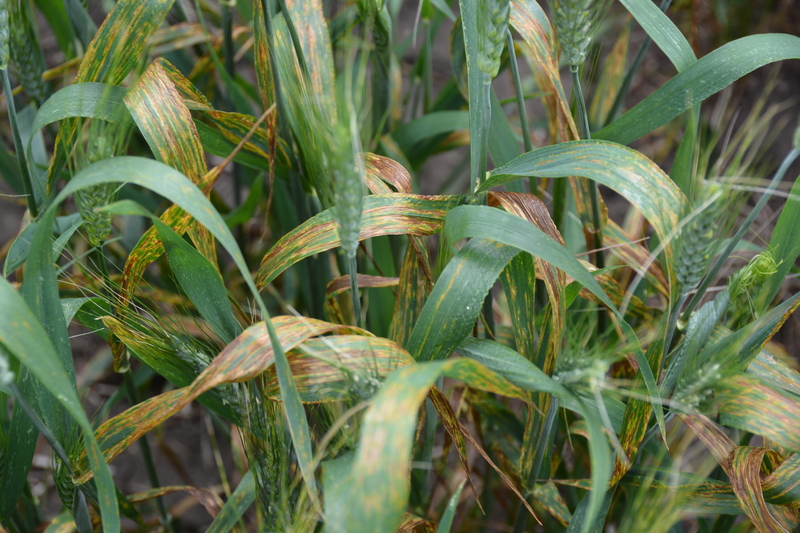 On susceptible hosts, lesions may coalesce. The bacterium exudes milky droplets of bacterial ooze within lesions when free-moisture is present on leaves. The ooze will give the leaves a shiny or glazed appearance when dry and small, amber-colored granules of dried exudates may be evident in lesions. Symptoms are often most evident on the middle third of the leaf blade. Symptoms of bacterial streak and black chaff are most apparent after heading. Humid, warm weather favors infection, as does overhead irrigation. 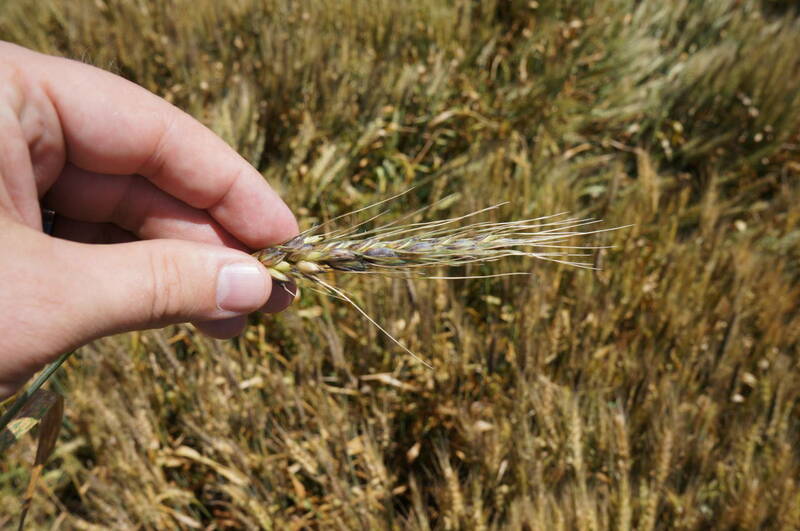 Anything that injures wheat leaves, such as hail or high winds may increase the risk of bacterial streak. 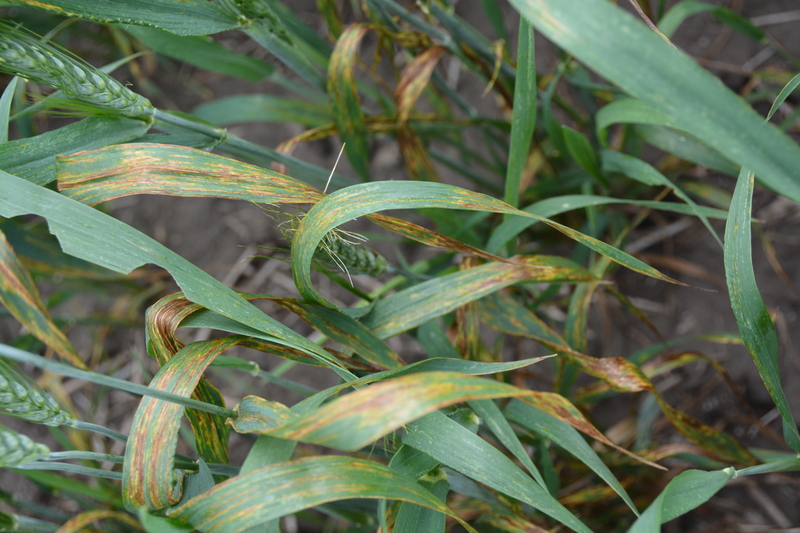 Black chaff risk is higher if bacterial streak lesions are evident on the flag leaves. 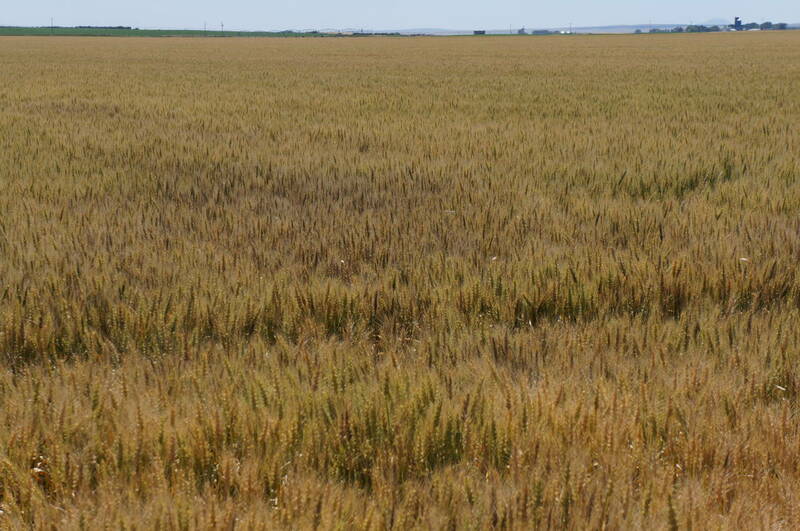 Less susceptible varieties are available. Plant clean seed to prevent introducing inoculum into a field. Avoid using overhead irrigation which will contribute to pathogen spread. Field symptoms of black chaff. 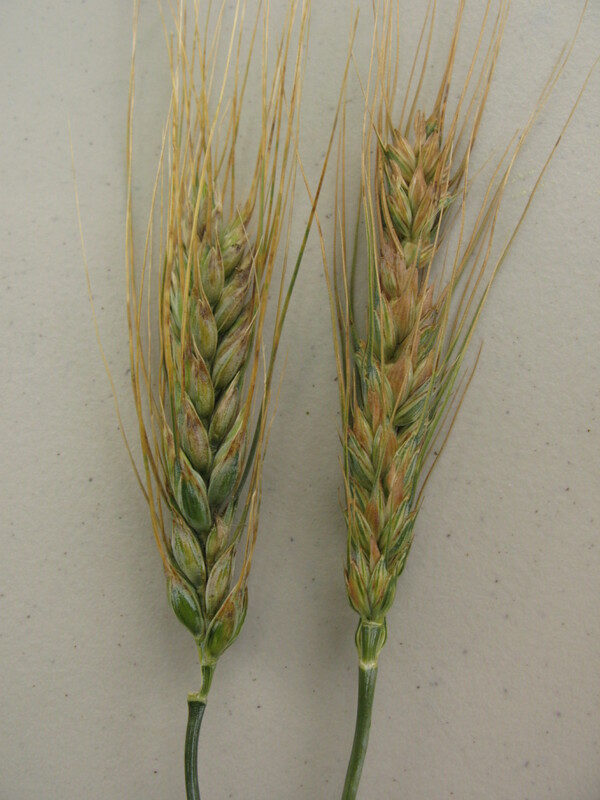 Black chaff symptoms on wheat head. On susceptible hosts, bacterial streak lesions may coalesce. 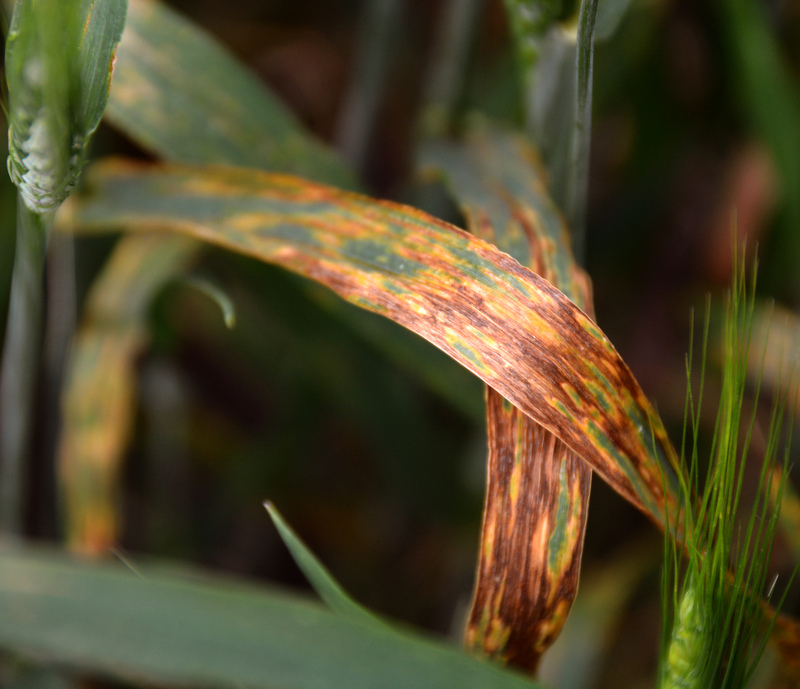 Leaf symptoms of bacterial streak on wheat. Black chaff symptoms are present on the peduncle, rachis, and glumes.